So, per various other Q's I've had, I've now got my 99 auto back together after having the complete intirior (not dash) out after it filled up with water due to blocked drains. It was so bad that the doors were cycleing lock/unlock several times a second and there was a buzzing coming from the speakers. Everythign has been dried out now and put back together. But I still have some issues. First I now have an airbag warning light. I was aware of the risk of that if you turned on the ignition with the seat modules unplugged it could trigger, even though this car is old enough not to have seat airbags. I was really careful, but I forgot when I needed to open the roof. I think the only way out of this is to go to the dealer to clear it correct. Major bummer with as I"ve just been downsized for the first time in 30 years and I don't want to spend money on something like that until I get a new job. Next is a spare connector under the passenger (right hand) seat. I can't find where it goes and I'm sure it was connected to something in November when I took it apart. Final issue is the biggest. It drives great, but I can't select manual shift mode on the auto. I pull it across to the manual mode, but it still shows D on the (dash LED) PRNDL and the buttons on the steering wheel do nothing. I assume I must have missed plugging something in under the center console, but I don't know what. As it's an auto there's not much available on line, people don't seem to DIY auto Boxsters much. I think I may just have to take it all back apart again and look. 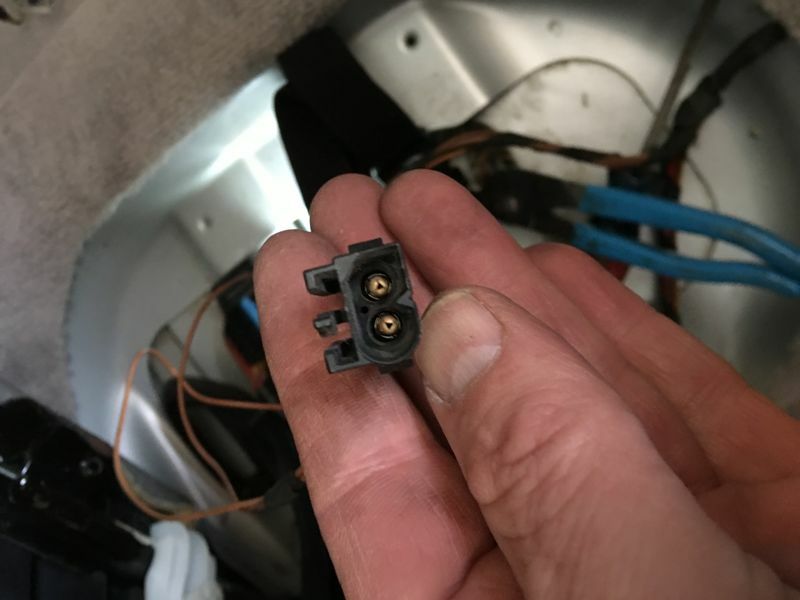 BTW, No, I don't believe it's the same mystery connector under the passenger seat though. Still needing assistance on this. I’ve pulled out the center console again and don’t see anything amiss. 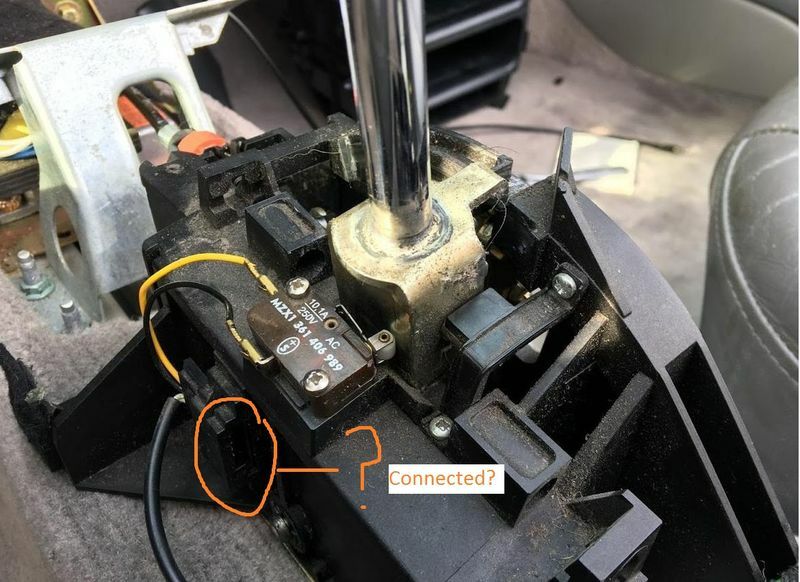 The photo below is with the console removed showing the shifter in ‘M’ as opposed to ‘D’. It’s contacting the micro switch OK and I’ve even jumped it, but still no luck. You can clear the airbag light with a Duramectric. Not sure about the other stuff. Good luck. 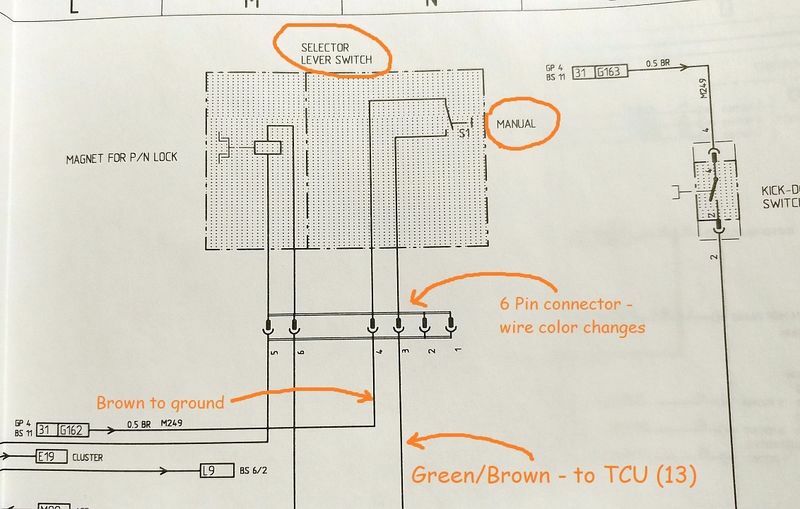 "In the manual gate, the manual switch connects ground to the Tiptronic control module..."
The pinout for the TCU shows pin (13) is the manual program switch. 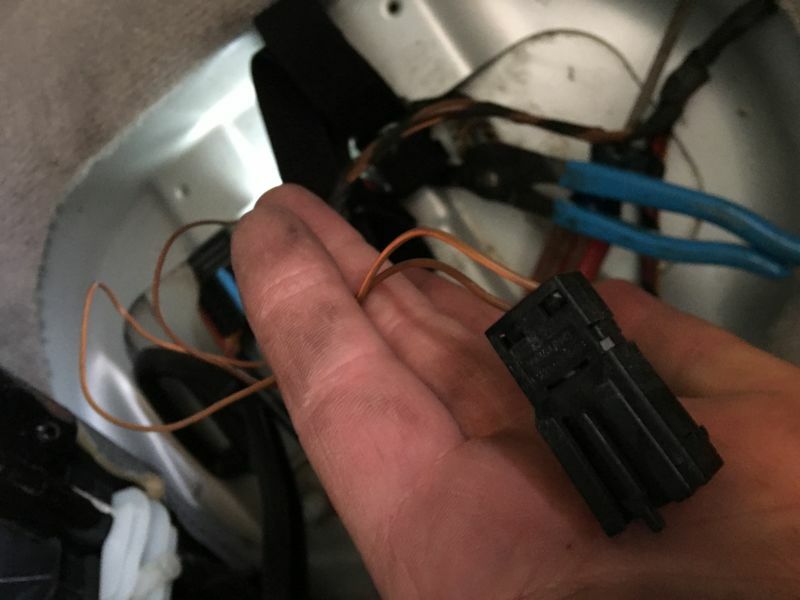 One side of that switch should be ground (probably your problem spot) and the other should route to pin (13) on the Transmission control unit on the firewall in the trunk. Need a schematic, let me know. The manual also has detailed procedure to replace the shifter unit. Good luck with it and feel free to pm or just post. I'm watching both treads. OK, so I removed the Triptonic module from the firewall and checked for continuity to the leads on the micro switch. I assume it's supposed to be the yellow wire, as I assume the black is ground. No matter. I checked continuity to pin #13 for both of them, one at a time, with the ignition in both the on and off position. Nothing. Not a beep or a measurable change in resistance. It's definitely an open circuit. To me that seems good and bad. Bad, I have an issue, good, I'm on the right track. So, where is the harness routed between the micro switch and the Tip module? Is there another connections in there, are there other things to check? That plug is for the optional passenger airbag deactivation bar which is used with a child seat. It's one of three optional plugs, the one under the center console for 12V constant and switched power, and the rear window plug for a hardtop or glass window. ... So, where is the harness routed between the micro switch and the Tip module? Is there another connections in there, are there other things to check? I can get a look at the diagram tonight and post anything useful. From the shifter, it should go forward to the dash, then across to the left side. It will be part of the big bundle near the base of the door that feeds along the left side to the trunk. There will be a connector in the trunk, then on to the TCU.